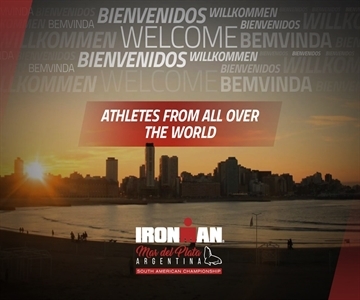 As a main aspect, after the evaluation made by the WTC (World Triathlon Corporation) and given the great acceptance that the last edition had among the triathletes of the whole world, the IRONMAN of Mar del Plata was positioned as one of the best distance races complete, so it was officially designated as South American Championship, providing 75 slots for the IRONMAN World Championship, to be held in Hawaii, United States, in 2019. IRONMAN Mar del Plata in 2018 offers 75 qualifying slots for the 2019 IRONMAN World Championship in Kailua-Kona, Hawaii. Professionals compete for $100,000 prize purse plus WC slots.